Turkey burgers are difficult to make as juicy as beef burgers. When America’s Test Kitchen did it, they tried to make a faux hamburger by adding lots of mushrooms and soy sauce. I don’t eat hamburgers (or any red meat). Why would I want my turkey burger to taste like one? I did steal one of their ideas though. They add gelatin to the burger to make them moist. It works very well. Silly me! I’ve just been cooking mine in tons of caramelized onions all this time. So I have combined the two ideas to bring you the best of both worlds! As the burgers cook, the gelatin seeps out and makes the caramelized onions stick to the burgers. It’s almost like a caramelized onion candy-coated burger only a hundred times better than that sounds. LOL! To make the insides as good as the outside, I add salsa to my turkey for a zesty kick. I call mine Tomato Onion Jam or, because my handwriting is too large for my canning jars, “Tom On” Jam. I’ll share that recipe with you as soon as I make it to the farmers market for ingredients. Any salsa you like would work here, but you may need to add more binder if you’re salsa is very liquidy instead of chunky. You can use the same recipe to make turkey meatballs but the cooking process is a little different. The raw meatballs are a little too tender for the pan. So I baked them in the oven, then finish them in the pan surrounded by all those caramelizing onions. Yum! I serve these burger style, but I also will have them over gluten-free pasta. For breakfast, I like to break up the meatballs for an omelet filling. Check out my meatball stuffed un-cornbread muffins for a great snack that kids and adults will love! Pour broth into a small bowl and sprinkle unflavored gelatin. Allow it to soften for at least 5 minutes. Take ½ cup of the ground turkey and put it back into the food processor. Add softened gelatin, salsa, psyllium powder, and garlic.. Process for 2 minutes. Scrape the sides of the food processor as necessary. Then drizzle oil into the food processor as it is running. Continue processing for 10 seconds. Empty mixture back into large bowl with the rest of the ground turkey and mix until it is uniformly mixed. Pan fry 4 burgers with 1 cup of sautéed onions at medium low heat. The burgers will seep out gelatin at first. Don't even try to flip for 8 minutes or the burger will fall apart. Cook until browned on both sides. The recipe directions are for full-size burgers but I usually make much smaller burgers for myself. I use a #24 disher and make slider-sized burgers. I get 8 sliders per pound. To make the meatballs, I use a #50 disher and get 24 meatballs per pound. You can use the same recipe to make turkey meatballs but the cooking process is a little different. The raw meatballs are a little too tender for the pan, so I baked them in the oven at 350° for 15 minutes. 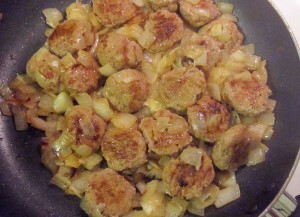 Then finish them in the pan surrounded by all those caramelizing onions. You may need to compensate for the wetness of the salsa with some additional binder, like oat flour. Each salsa is different, you'll need to test it out for yourself if you have difficulty getting the burgers to stay together. I shared this recipe on Friday Foodie, Clever Chicks, Your Whims, Motivation Monday, Meal Planning Monday, Mostly Homemade Monday, Natural Living Monday, Mix It Up Monday, Simple Life, Happiness is Homemade, Sunday Social, Simple Saturdays, No Rules Weekend, Farm Blog Hop, Whole Foods Friday, Foodie Friends Friday, Fight Back Friday, Simple Meal Friday, Gluten Free Friday, Pennywise Platter, Homeacre Hop, Full Plate Thursday, Fabulously Frugal Thursday, Wellness Wednesdays, Thriving on Thursday, Mountain Woman Rendezvous, Wildcrafting Wednesday, Real Food Wednesday, Fresh Food Wednesday, Wonderful Wednesday, Wake Up Wednesdays, Gluten Free Wednesdays, Hearth & Soul, Allergy Free Wednesdays, Tuesdays with a Twist, Tasty Tuesdays, Tuesday Talent Show, Turn It Up Tuesdays, Fat Tuesday, and Totally Talented Tuesdays. 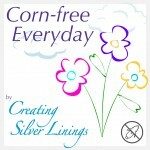 This entry was posted in Main Dishes, Recipes and tagged caramelized onions, corn free, dairy free, gluten free, turkey. Bookmark the permalink. Wow these sound so good! I can’t wait to try this! Do the turkey burgers freeze well? I’m currently working on a corn-free version of a cornbread muffin that I stuff with the meatballs. It’s a great breakfast on the run! Can’t wait to see what you link up this week! The party link up is open! I am featuring this on Tasty Tuesday tomorrow! Thank you for linking up last week! Make sure you stop back by, link up and grab a featured button! I am so glad that Burger season is here once again, this looks like an awesome burger. Thank you so much for sharing your special recipe with Full Plate Thursday. Hope you have a great week and come back soon! What a good idea, and I’m sure the taste of the caramelized onions add a wonderful flavor too. Thank you for sharing this at the HomeAcre Hop; I hope you’ll join us again this Thursday. Hm. 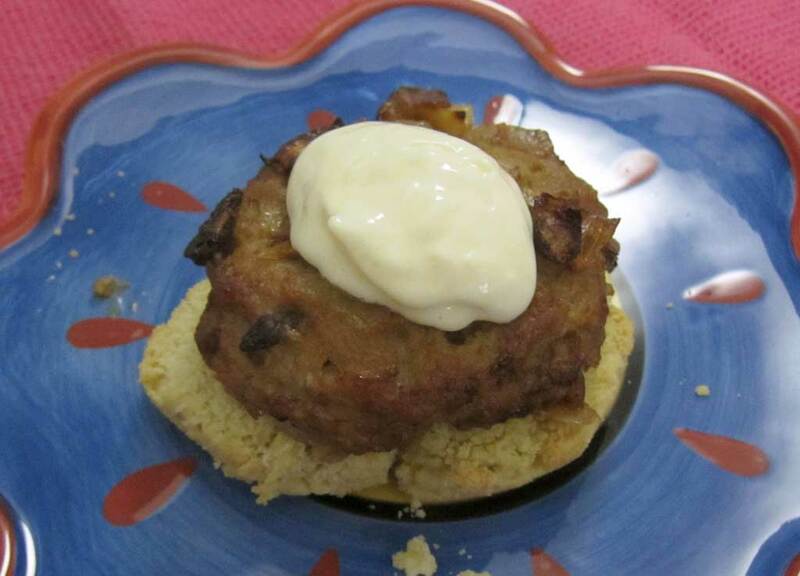 Gluten free burger! This is perfect for my sensible kids. Not sure about the onions but I guess I can only give it a try.